Celebrating Easter with this bright and fresh handtie including whites and blues. 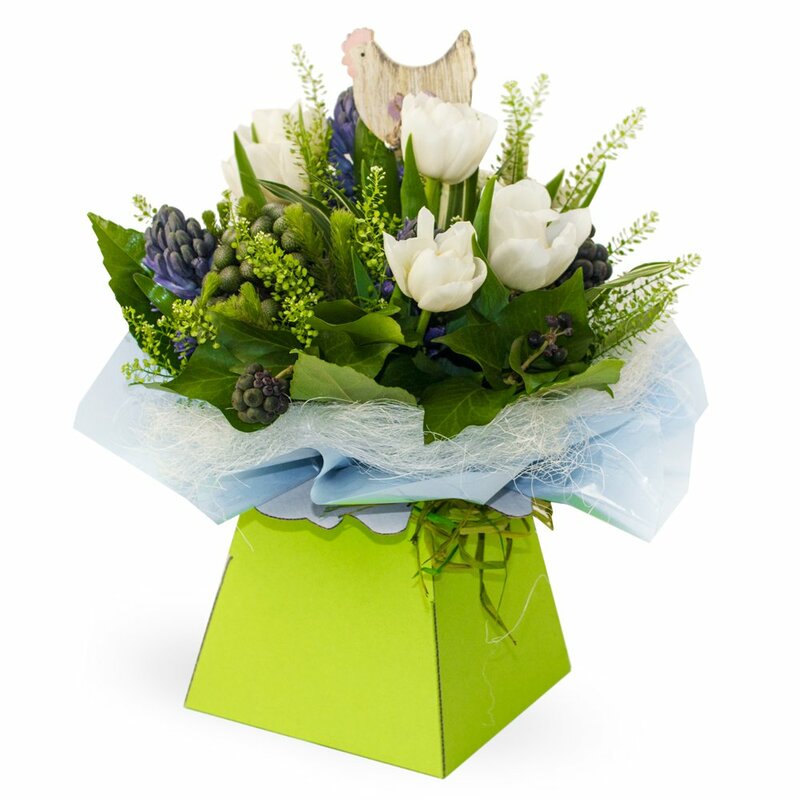 Tulips and hyacinths make this perfect for Easter. This arrangement is handcrafted by a professional florist, in some cases, variations from the image represented here may occur also depending on season.